This song was a fairly political piece written by Bono about rights activist Martin Luther King, Jr. It is one of the U2's most recognized songs and is frequently played live. Pride was major commercial success for the band and has since come to be regarded as one of the band's best songs. It was named the 378th greatest song by Rolling Stone Magazine on their list of the 500 Greatest Songs of All Time. Want more U2 lyrics? 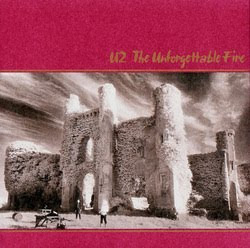 Check out the lyrics from the album The Unforgettable Fire.